An airline rewards card may seem like a no-brainer if you are a loyal customer of a particular airline, but frequent travelers of all stripes can reap great benefits from these cards. Airline cards come with some of the most generous sign-up bonuses in the rewards card industry, as well as very valuable perks such as free checked bags and discounted companion fares. The free airfare earned and the savings on travel expenses can easily outmatch the cost of a yearly membership fee. We've reviewed and rated airline cards based on their value and utility. We calculate and compare the value of sign-up bonuses and rewards miles. We also consider how easy it is to redeem those miles, and the overall coverage that the airline offers, to help you select an airline card that takes you where you really want to go. 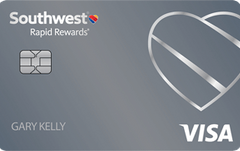 The Southwest Rapid Rewards Priority Credit Card doesn’t have as much heft as most elite airline cards, but it does offer enough value to justify paying the higher fee. 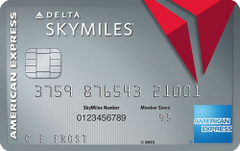 High-rolling customers of Delta Airlines will be well-served by the Platinum Delta SkyMiles card’s elite benefits, though the card is probably beyond the means of most cardholders. The AAdvantage Aviator Red World Elite Mastercard is an excellent means for collecting bonus AAdvantage miles. It offers up a 60,000-mile bonus for simply paying the annual fee and making one qualifying purchase. 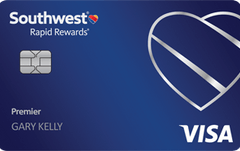 The Southwest Airlines Rapid Rewards Plus card is a great card for both Southwest Airlines fanatics and the more casual rewards card user, due to its generous sign-up bonus and many options for domestic travel. If you frequently fly Southwest, it’s worth upgrading to this high value airline card, despite its $99 annual fee: It offers one of the best sign-up bonuses on the market and its rewards points are worth substantially more than the average credit card rewards point. The value of TrueBlue points is high, but the JetBlue Plus card doesn’t offer many options for redeeming those points outside of JetBlue flights and vacations, and the card is of little use to cardholders who don’t live in a city served by JetBlue Airways. This offer is no longer available. This premium airline card offers a hefty sign-up bonus in the first year and attractive perks, such as a $100 companion certificate; but with an $89 annual fee and a ho hum rewards rate, the card’s value falls sharply after its first year. The AAdvantage Platinum Select World Elite Mastercard from Citi is worth getting due to its generous sign-up bonus and numerous perks. This offer is no longer available on our site. The Delta Reserve card offers a great rewards value thanks to its annual companion pass; but you can get the same benefit with the Platinum Delta card, for a lower annual fee. 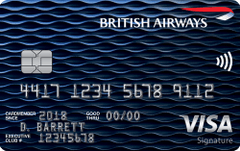 One of the best airline cards on the market, this super charged premium card offers frequent transatlantic flyers an accessible sign-up bonus that amply rewards heavy spenders, a plentiful point bonus on airfare, valuable travel perks and generously priced rewards points that are worth more than twice the average credit card rewards point. Despite its high APR and moderately priced annual fee, this budget airline card offers a tremendous amount of value for domestic travelers – especially if cardholders spend enough each year to qualify for the card’s $100 airline voucher. 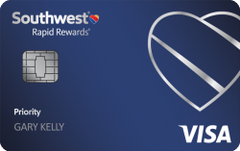 A good deal for budget-conscious West Coast residents who frequently fly Alaska Air, the Alaska Airlines Visa Signature card pairs a generous sign up bonus and valuable rewards program with one of the lowest APRs available on a travel card.